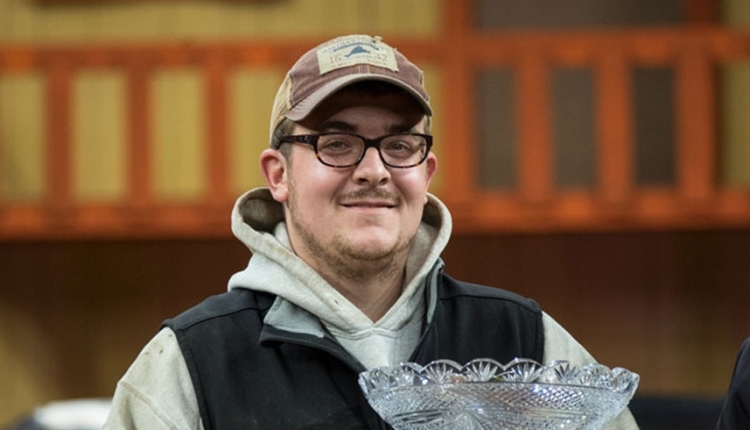 A three-time showmanship winner at World Dairy Expo and this year's World Dairy Expo fitting contest winner, Cy Conard has won the 2012 Merle Howard Award. The son of Wayne and Jen Conard of Sharon Springs, N.Y. Conard is the ninth person to receive this honor. 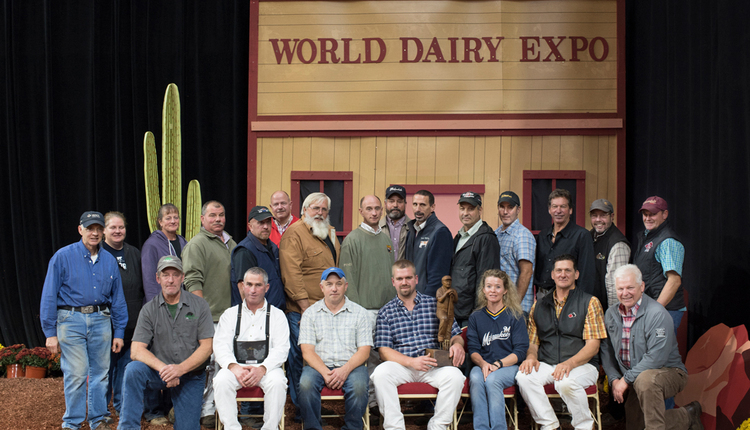 The Merle Howard Award is presented to the top junior exhibitor at World Dairy Expo who demonstrates exemplary skills in fitting, showmanship, and overall passion for the dairy industry. 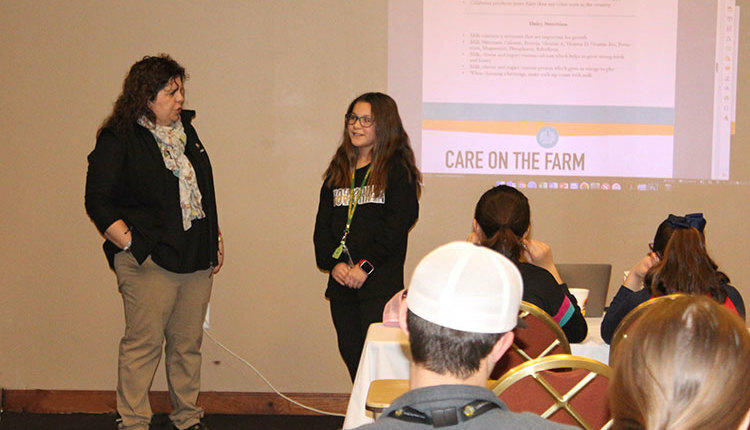 This 17-year-old is a critical member of the family's Ridgedale farm team and is involved in all phases of the operation, especially with cattle showing and fitting, livestock marketing and the cropping enterprise. 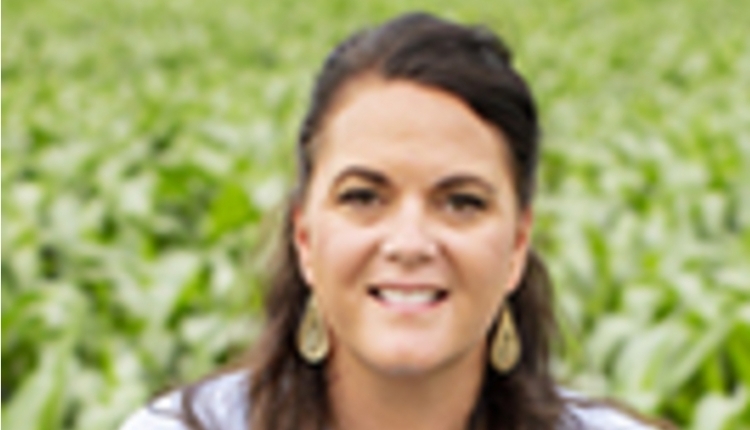 Conard also stepped up in numerous ways to help with three sales held on the family farm within the past eight years. 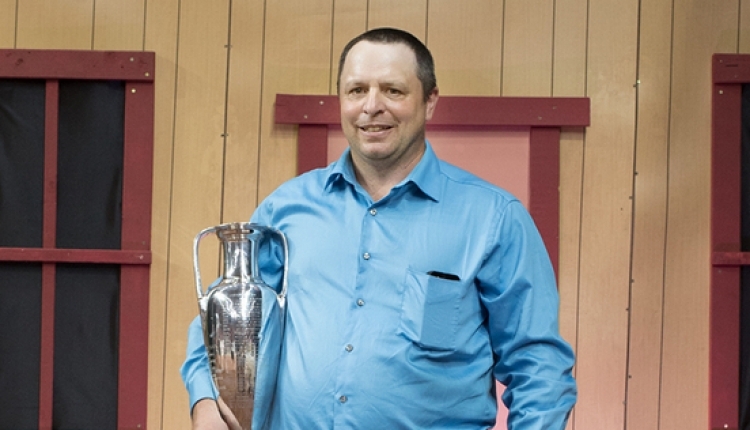 Within his state, Conard captured Master Showman honors at the 2012 New York State Fair. At that same show, he exhibited the Grand Champion Red and White and the first place four year old. Later this summer, he won the four year old and aged cow classes at the junior show at the All-American Dairy Show in Harrisburg, Pa., plus he collected Reserve Senior Champion honors in the Red and White open division. 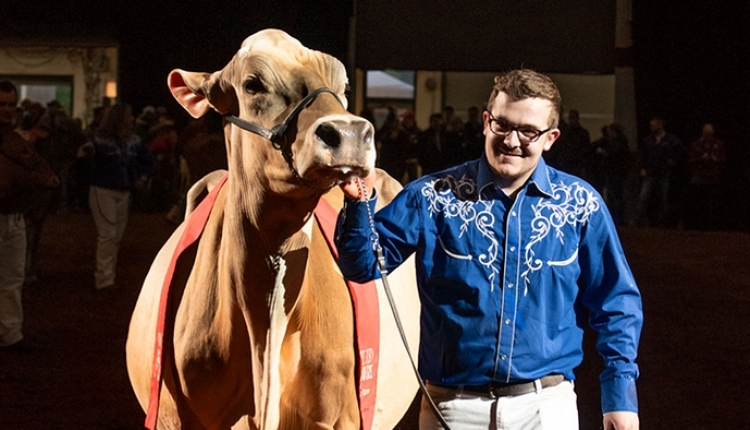 He also exhibited a four year old cow in Tuesday's International Junior Holstein Show and a pair of cows at Friday's Grand International Red and White Show. 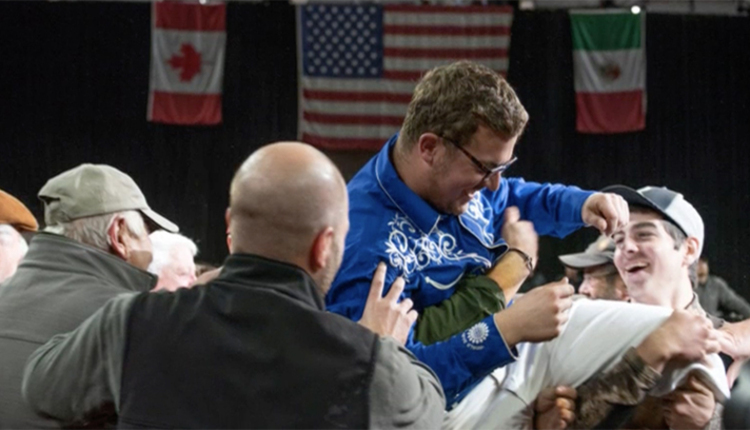 All three individuals stood in the top-half of their classes. 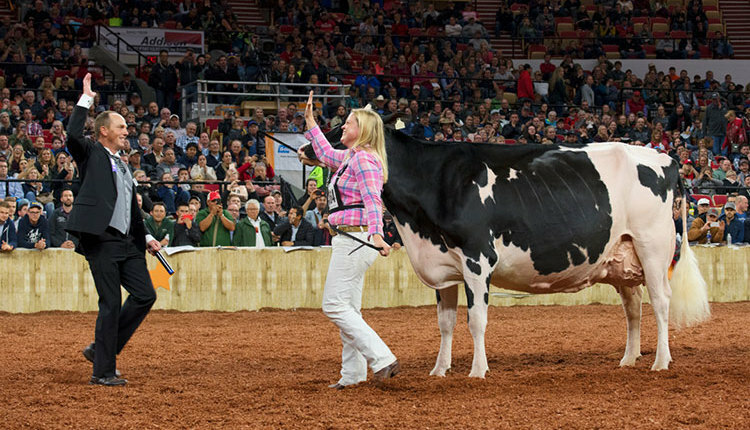 Respected by his peers, Conard has agreed to serve on the 2013 selection committee for the judge of the Junior Holstein Show at World Dairy Expo. He also has agreed to serve on the 2013 Red and White Dairy Cattle Association Junior Activities Committee. 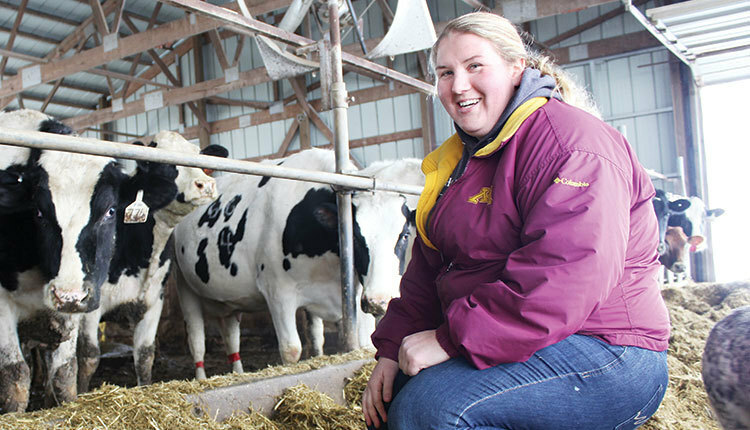 He is a past New York Holstein Association Distinguished Junior Member finalist. 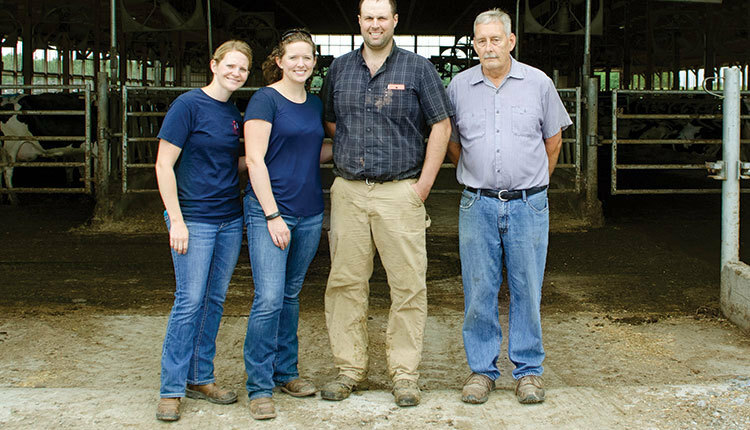 And he is a graduate of Cornell's Junior Dairy Leader Program. Above all, this young man is a hard worker, who fits and prepares his own animals for the show each year. Conard is currently a senior at Canajoharie High School and enrolled in the Environmental Conservation Program. Conard also has one brother, Isaac. Previous award winners of the Merle Howard Award include: 2004, Robert Teixeira, Turlock, Calif.; 2005, Matthew Mitchell, Lafollette, Tenn.; 2006, Greta Koebel, Three Oaks, Mich.; 2007, Brandon Ferry, Hilbert, Wis.; and 2008, Kelly Lee, Johnson Creek, Wis.; 2009 Kyle Natzke, Fond du Lac, Wis.; 2010 Stephanie Aves, Popular Grove, Ill.; and 2011 Karen Anderson, Lester Prairie, Minn.
Merle Howard was a respected dairy industry pioneer. Winner of the 1954 Klussendorf Award, Howard was a herd manager, Holstein classifier and later a sales and export businessman. 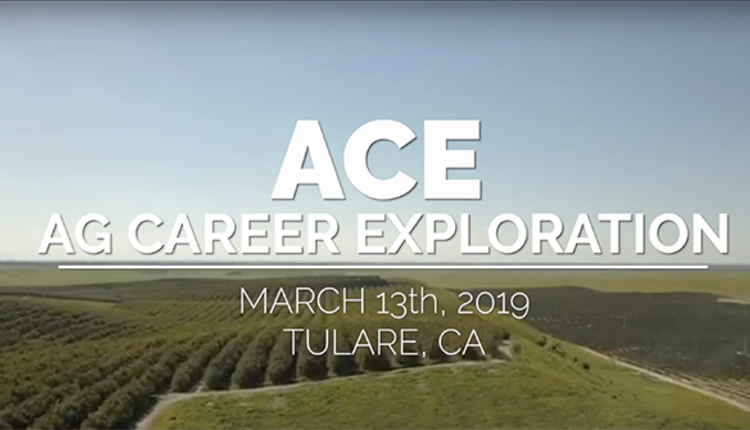 Serving on the first National Dairy Shrine Board, he became one of only eight people to receive the 4-E Award for outstanding service.